Erica Arsenault has been practicing yoga and meditation for over a decade, sharing her unlearning along the way. A 200 Hour Yoga Alliance Teacher and currently immersing herself in Kundalini Teacher Training, combined with her Bachelor of Pre-Medicine and Bachelor of Health Science majoring in Radiological Technology, she has combined a yoga style that incorporates a Western connection of anatomy and alignment with an Eastern ease of philosophy and spirituality. 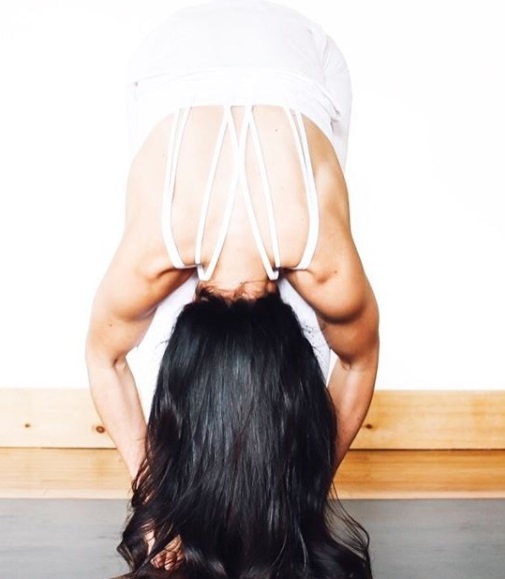 Erica’s yoga flow integrates movement with the breath, building strength, creating health/longevity but with the goal of connecting to the baseline, inherent quiet. Her precise alignment and muscle activation has a meditative charm that allows for detachment from thought, to truly land in stillness that always resides within. Erica is a wife, a mother of two, a business owner and a Lululemon Ambassador. She validates that the roles we play in life can sometimes be demanding and overwhelming; yet through the practice of yoga and meditation, one can synchronize with their highest most perfect self, ensuring these roles do not define us as beings. Her goal is to share yoga as an exploration of being, by living in the present and honoring that we are all on the same journey.